This piece is a little more straightforward, it depicts a blackbird, who is often present in different mythologies and legends, from Druid legends, to Greek folklore. The blackbird's song is said to have the ability to put the listener in some sort of mystic trance, in which he can travel to another world. 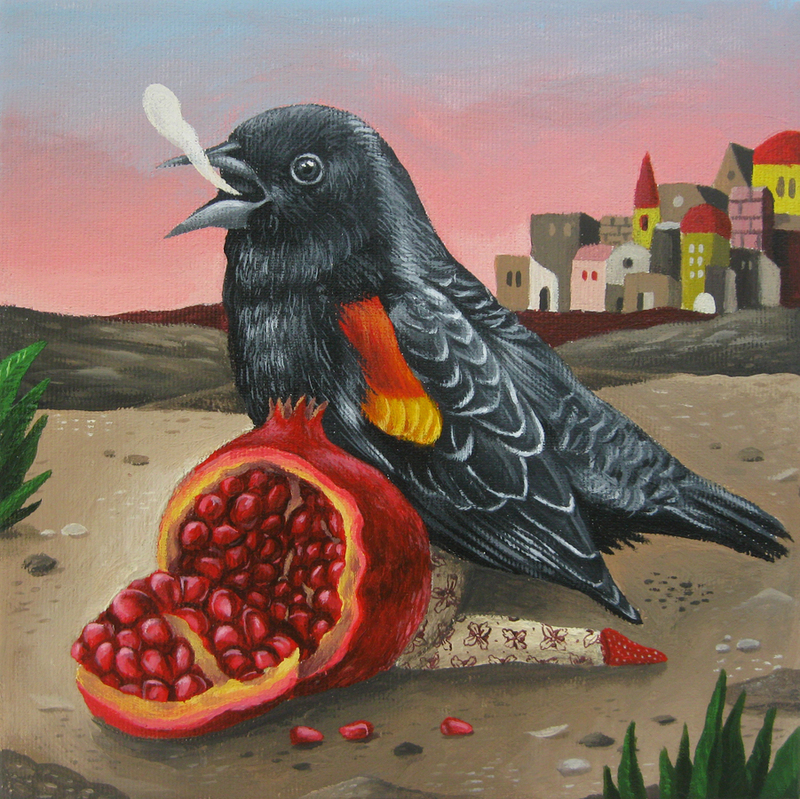 In Greek folklore it is said that the blackbird would die if it ate pomegranate, a fruit which in Greek mythology is connected to the underworld, Persephone, kidnapped by Hades and taken into the underworld, was lured by him to eat six pomegranate seeds, thus being condemned to spend six months of the year in the world of the dead.